The painter Lucio Monaco was born in 1957 in Mosciano Sant’Angelo (Teramo), where he lives. He starts studying arts at Istituto Superiore d’Arte San Bernardo in Teramo, and graduates in art in 1975. His first paintings date back to 1973, when he still was an art student. 1980 he moves to Lombardy, where he studies figure drawings at Teachers from Como. His works were exhibited several times in solo show and collective shows on national level. He successfully took part to art contests, receiving positive judgements both by critics and his public. His paintings and decollages are part of important public and private collections. 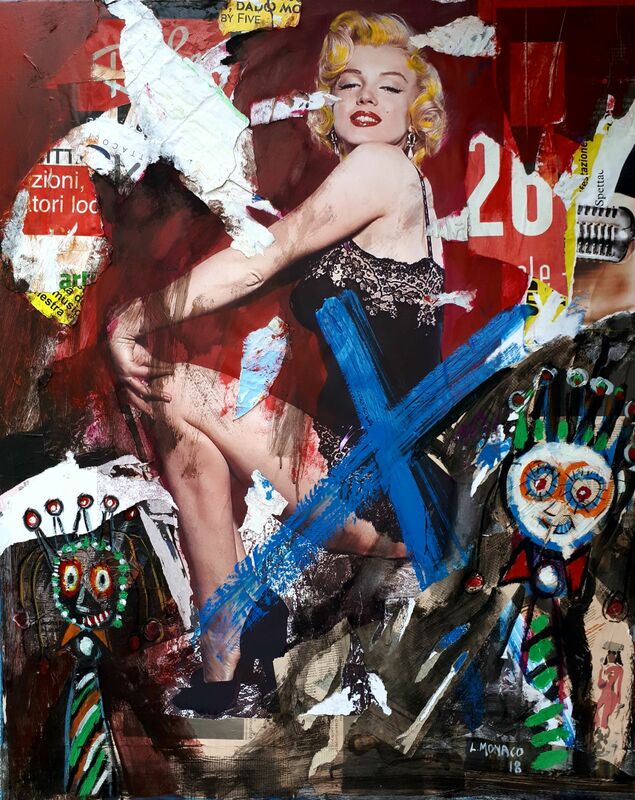 Monaco’s artistic research is influenced by Pop Art, but the artist develops his own style, giving his works a quiet personal taste. 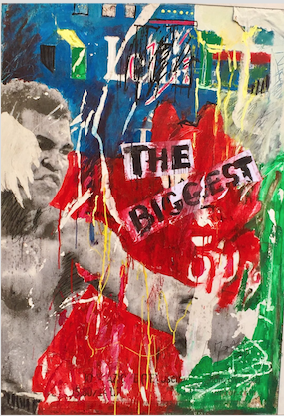 At first glance, his technique might be compared to Mimmo Rotella’s one, but this is a summary impression. 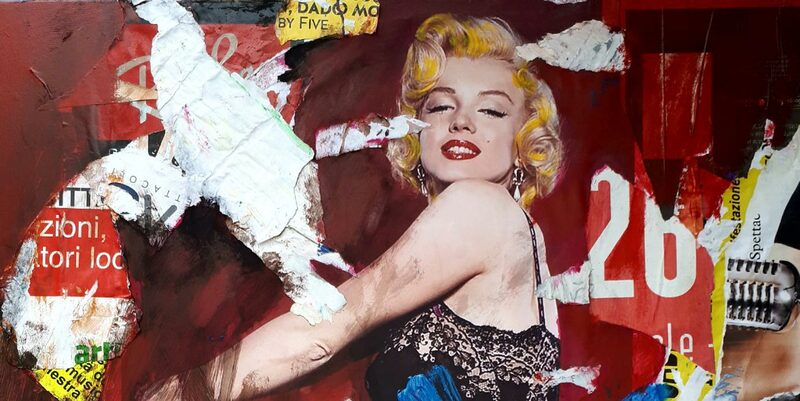 Rotella, inspired by Pop Art, uses fragments, teared up posters in a cold and rational way for his canvas. However, Monaco follows his inner perceptions, deeply bound to his emotions, often inspired by famous movies, masterpieces of Cinema, which inspire the strong social message of his works. His subjects are expecially taken from show business, cinema and comics, but also social relevant events inspire him. In his works there is evidence of a mastery technique, balance in arrangements, chromatic combination, artistic sensibility. Lucio Monaco brought “realism” in the representation of our magmatic currentness. 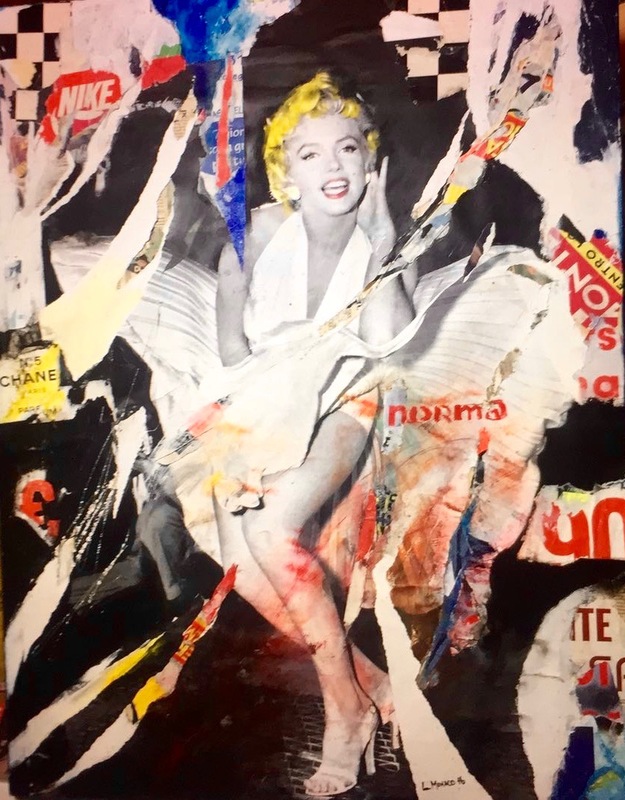 It doesn’t matter if his collages and tearings recall other, already established master’s tecniques: they were lacking the intention, which is so involving in Monaco’s art, to revelate life and passion intrinsic to objects, and even more to Art objects.